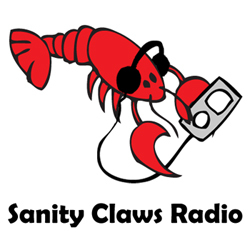 Sanity Claws Radio – German Chocolate and Casual Chat! We have a nice, relaxing casual chat while enjoying some delicious chocolate on this episode of Sanity Claws Radio. Lindsay, Mike, Scotty, Karen, Badger, and Jon slow things down a bit as we eat some chocolate and enjoy a simple chat. We talk about whatever is on our mind, from some (light) politics, to video games, to Magic, as we enjoy the sweet taste of some German chocolate. Also, Scott takes an old deck for one last spin, Karen gets caught up in the Crossfire, Mike mines some more, Badger has a tale about Paris, Lyndsay watches everything, and Jon goes back to Gravity Falls. Finally, we wrap up our show with a fun round of I Can Top That! ← Sanity Claws Radio – E3 2018!